Delegates from the Netherlands’Agriterra agricultural development support organization shared their experience in coping with impacts of globalization in developing cooperatives, agriculture and rural areas during a recent workshop in Hanoi. 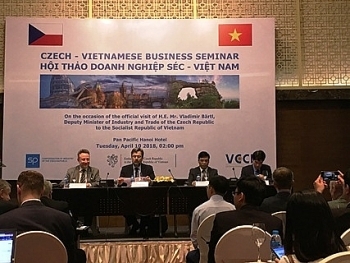 Bilateral trade turnover between Vietnam and the Czech Republic in the first half of 2018 recorded an expansion of nearly 14 percent compared to the same period last year, marking a successively stable growth rate of over 10 percent per year since 2015. 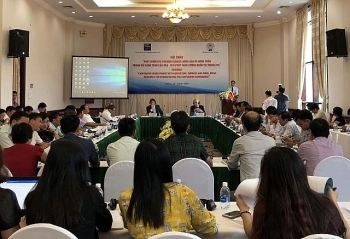 (VEN) - Under the auspices of the Ministry of Industry and Trade, the Vietnam Textile and Apparel Association organized a conference on the impact of the Comprehensive and Progressive Trans-Pacific Partnership (CPTPP) and the EU-Vietnam Free Trade Agreement (EVFTA) on Vietnam’s garment and textile sector. The event attracted the interest of economists and businesses. 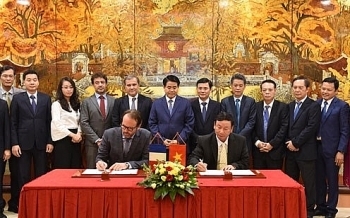 The Hanoi Department of Industry and Trade and Semmaris Group of France will cooperate in the study and research on building an international wholesale market of farm produce in Hanoi. 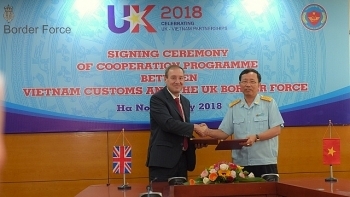 A new cooperation agreement was reached between the General Department of Vietnam Customs and the UK Border force on July 26, aiming to improve capacity of Vietnamese customs officers. 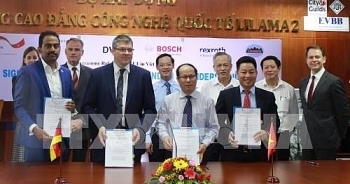 (VEN) - The EU is a reliable partner supporting Vietnam’s integration into the global economy, and European companies have contributed to Vietnam’s market-oriented reforms. 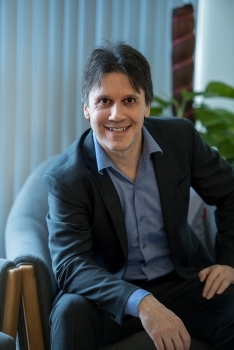 Vietnam Economic News’ Thu Huong and Lan Huong talked with Denis Brunetti, Co-Chairman of the European Chamber of Commerce (EuroCham) in Vietnam and Ericsson President in Vietnam, Myanmar, Cambodia and Laos. 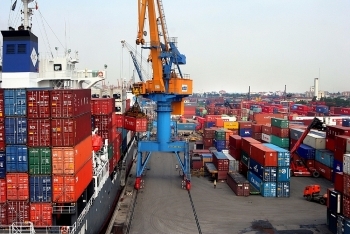 (VEN) - Minister of Industry and Trade Tran Tuan Anh said Vietnam and the EU had completed the legal review process of their trade agreement (EVFTA). 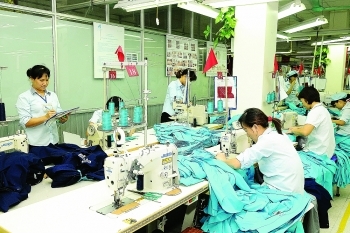 “If things go smoothly, the agreement will be signed later this year and submitted to the European Parliament and the Vietnamese National Assembly for ratification in early 2019,” he said. 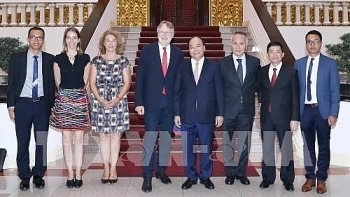 Vietnam always wishes to further promote the friendship and cooperation with the European Union (EU), Prime Minister Nguyen Xuan Phuc has told Chairman of the European Parliament’s Committee on International Trade (INTA) Bernd Lange. 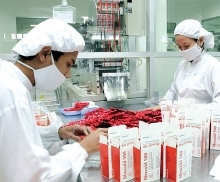 Bright signs have been seen in two-way trade between Vietnam and the Czech Republic, as the two countries’ import-export turnover in the first five months of this year reached nearly US$464.5 million, up 15.6 percent from the same period last year.